Showing results by author "Jess Zimmerman"
Want to feel terrifyingly beautiful? Wear the right color of eye shadow to project otherworldly glamour. Need to exorcise a toxic friendship? Repeat the proper incantation and make it disappear. DIY projects, rituals, and spells summon the best trends of the modern witchy lifestyle and the time-trusted traditions of the hell-raising women of the past. 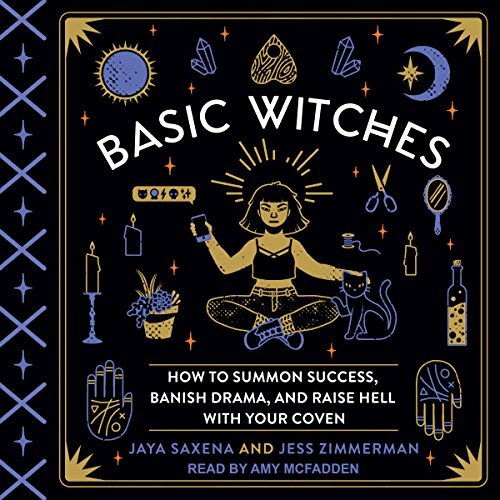 With humor, heart, and a hip sensibility, Jaya Saxena and Jess Zimmerman dispense witchy wisdom for the curious, the cynical, and anyone who could use a magical boost.